Did you know that users on Instagram pore through 80 MILLION photos every day? 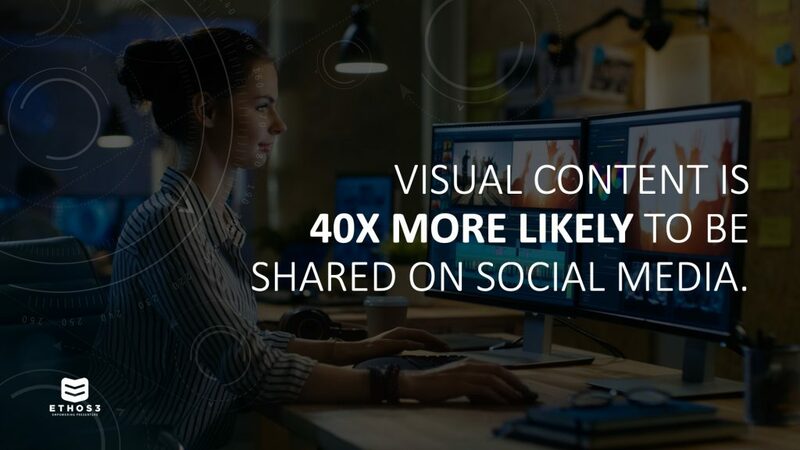 Couple that with the fact that visual content is now 40x more likely to be shared on social media, and all of a sudden, the emphasis on creating engaging visual content becomes critical. But sometimes as a presenter or thought leader, you don’t know where to begin with creating engaging visuals to post. With complicated software and limited time availability, we see many presenters settle for text-based posts rather than creating compelling infographics that will actually be seen and understood. 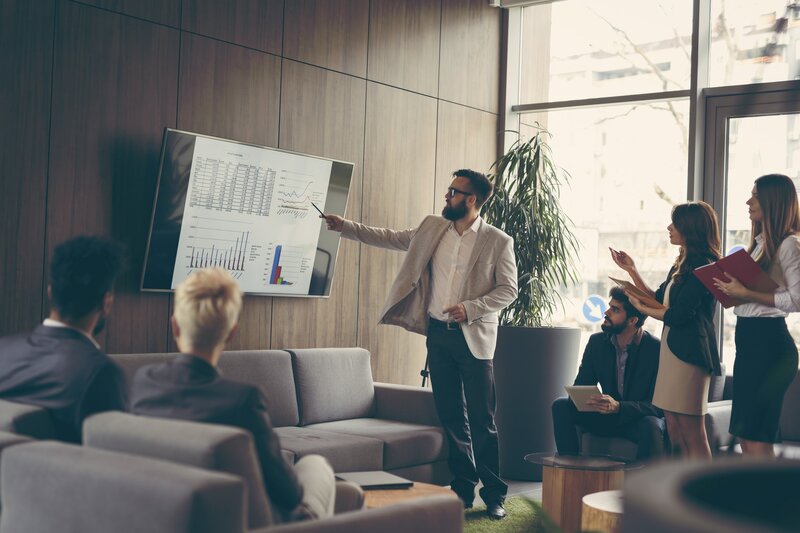 The good news is you no longer have to be confined to those complicated pieces of software; instead, with a few clicks and some creative use of templates, you can use your everyday PowerPoint software to create a compelling visual that can be used across all your platforms. Check out this step-by-step guide about using PowerPoint to create your next visual. Step 1 – Select an engaging template. By selecting an engaging template, you allow PowerPoint to do the leg work of creating a base for your design. Since your goal is visual engagement, select a template that catches your eye. Unlike when creating a slide deck, select a design that will stop users from scrolling past while avoiding confusing clutter and busyness. Step 2 – Add your chart. PowerPoint has a great built-in chart function. All you need to do is select the chart that’s best style for your infographic and input your data. It’s important to note that you must have access to Excel as well to use this function. It’s in Excel that you’ll insert your specific data points which will then translate to your PowerPoint chart. Unsure of what type of chart to select? Click here to find out what we recommend. Step 3 – Insert your text. Once your chart is in place, it’s time to add header text as well as quick summary text. Since this infographic will not be presented live, it is important to give some context to the chart you are displaying. Your content should not be overwhelming or excessively wordy – just enough to engage your reader and lead them to a place of engagement with you. If posting your infographic to social media, we recommend using the caption to give a more in-depth explanation. Step 4 – Export your infographic. It’s time to turn your infographic from a slide deck to an engaging visual that can be shared across many platforms. There are two options for export and which you select depends largely on your targeted use. If your intention is to post to social media, then you will want to export as a JPEG file; however, if you are looking to share this infographic via print or even in an email, it may be better to export as a PDF. Step 5 – Confirm final product. Once you have completed the export process, open your newly created infographic and confirm that everything looks great. On occasion, a file can get skewed during export, so be sure to check all of your numbers and formatting. That’s it – you’re done! With these 5 simple steps, anyone can design an engaging infographic to share with their audience across any platform. Don’t have time to design your own infographic? Contact the team at Ethos3 today to find out how we can help.